I have a 9 year old girl in my house. 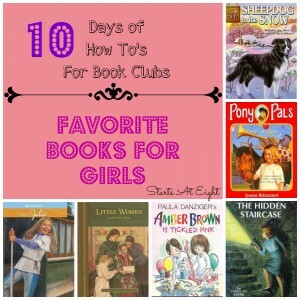 While she is not as girly as she used to be, her favorite color is still purple and she loves all the girly books! 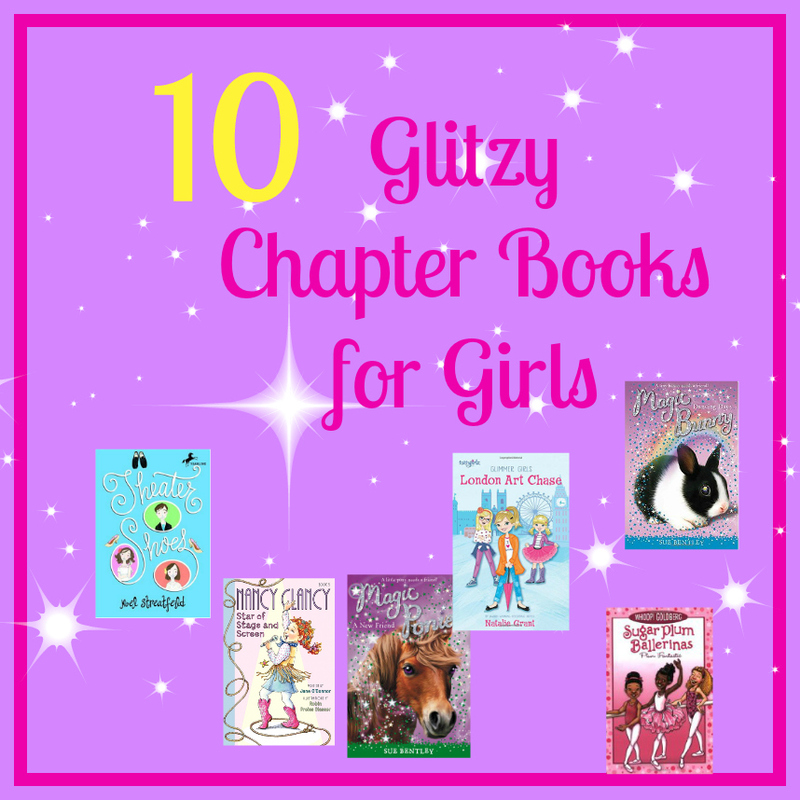 From fairies to animals, and fun little girls, this list has it all the glitzy chapter books for girls! Centered around the three sisters, older twins Mia and Maddie and their little sister Lulu (like Grant’s own family), who are the daughters of a pop star mom, Glimmer Girls is a fun and relatable pre-teen look at family life, girl stuff and mysteries! With a family that prays together and treats each other with kindness and respect, Glimmer Girls models positive family relationships and interactions as opposed to the usual junk of snarky teens and nasty language that come with many pre-teen and teen books these days. Grant writes with an nack for pre-teen dialog and stirs up adventure and mystery in a fun and wholesome way without being overly preachy. 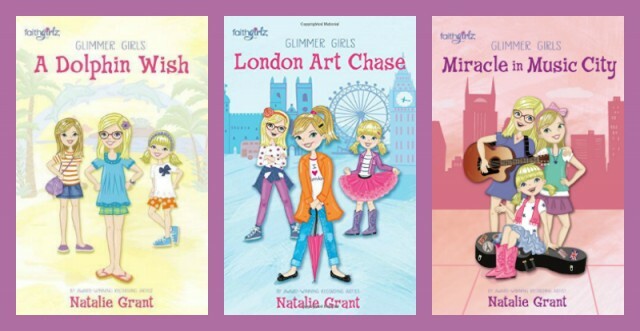 In London Art Chase, the first title in the new Faithgirlz Glimmer Girls series, readers meet 10-year-old twins Mia and Maddie and their adorable little sister, LuLu. 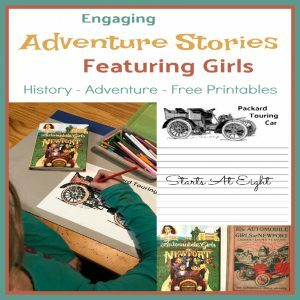 All the girls are smart, sassy, and unique in their own way, each with a special little something that adds to great family adventures. There is pure excitement in the family as the group heads to London for the first time to watch mom, famous singer Gloria Glimmer, perform. But on a day trip to the National Gallery, Maddie witnesses what she believes to be an art theft and takes her sisters and their beloved and wacky nanny Miss Julia, on a wild and crazy adventure as they follow the supposed thief to his lair. Will the Glimmer Girls save the day? And will Maddie find what makes her shine? Be on the look out for book three – Miracle in Music City (coming August 2016) where Gloria wants her daughters to learn they aren’t too young to make a difference, so she gets them involved in her annual benefit and auction. But as things often do with the trio of smart and sassy sisters, they get themselves and their nanny Miss Julia involved in a lot more than just helping mom raise money for a worthy and wonderful cause. 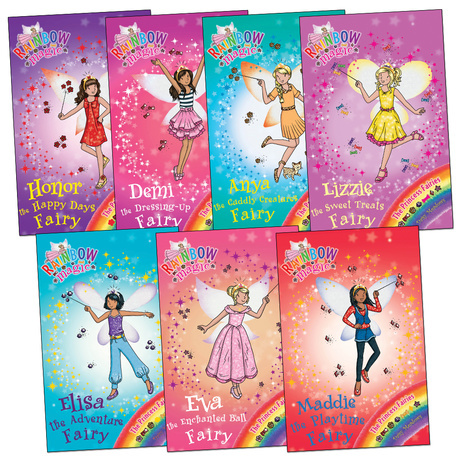 There are 8 books in the Magic Ponies Series. 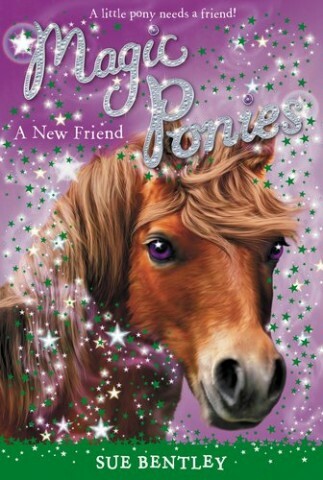 The Magic Ponies series is about Comet and his herd, who live on Rainbow Mist Island. His twin sister, Destiny, borrowed the Stone of Power, which is supposed to protect the herd from the dark horses, and then she and her brother lost it when they were playing in the clouds. Destiny then ran away, fearing she would be in trouble. Comet found the Stone and brought it back. By that time it was too late, Destiny was miles away, on Earth. This causes Comet to set off to bring her back, helped by the ability to change into a normal pony, rather than one with wings. 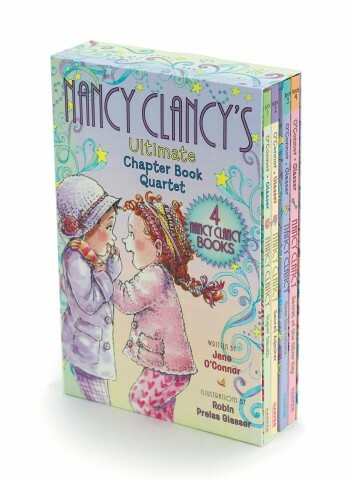 Little girls who grew up with Jane O’Connor’s Fancy Nancy picture books can spend some quality time with their BFF because Nancy Clancy is now starring in her own chapter books! Fans of Nancy Drew’s Clue Crew will be happy to see a new Nancy join the ranks of super sleuths! Far away from the world we know, on the distant seas of dreams, lies an island called Never Land. It is a place full of magic, where mermaids sing, fairies play, and children never grow up. Adventures happen every day, and anything is possible. There are two ways to reach Never Land. One is to find the island yourself. The other is for it to find you. Finding Never Land on your own takes a lot of luck and a pinch of fairy dust. Even then, you will only find the island if it wants to be found. But every once in a while, Never Land opens its doors to a special few. Believing in magic and fairies from the bottom of your heart can make the extraordinary happen. If you suddenly hear tiny bells or feel a sea breeze where there is no sea, pay careful attention. Never Land may be close by. You could find yourself there in a blink of an eye. One day, four special girls came to Never Land in just this way. This is their story. 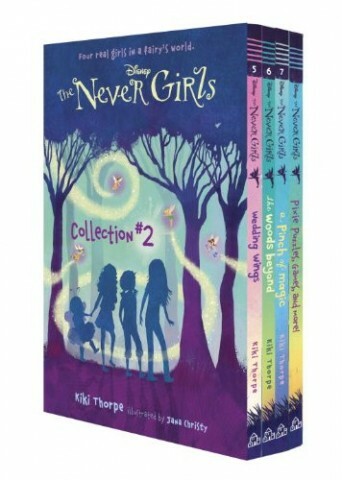 Check out The Never Girls Series. And on and on! Your little glizty girl can delight in these for many months! 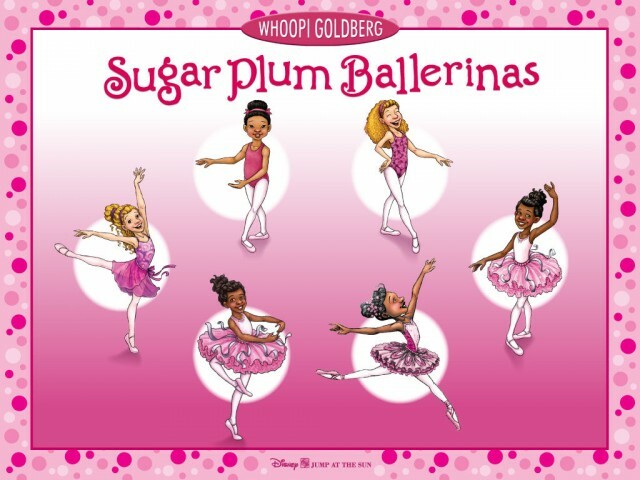 Sugar Plum Ballerinas is currently a 6 books series by Whoopi Goldberg. Goldberg was inspired to write the books for kids who are forced to do things they are not necessarily interested in. In Goldberg’s own experience, it was just the opposite. She didn’t have the opportunity to take dance lessons until she was an adult. As a child, she dreamed of being a dancer. “Becoming a ballerina wasn’t really an option when I was a kid,” she said. 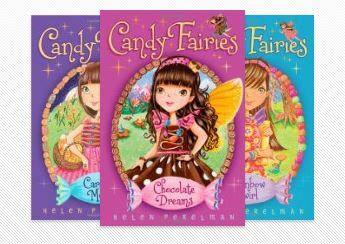 This book series, which is written for girls ages 9-12 years old, was not originally intended to be inspirational, says Goldberg. Her goal is to make people laugh, although they may also learn to have a good time in life. 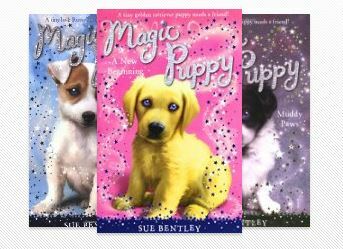 There is also a series of 13 Magic Kitten books! 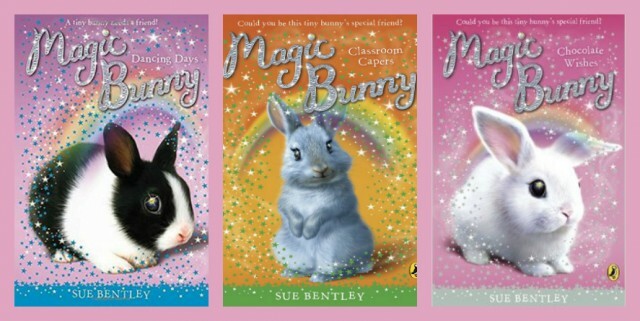 As if ponies, puppies, and kittens weren’t enough, yes there are Magic Bunnies too! Theater Shoes – Three orphans are forced to enter a theater school by their grandmother, a famous actress. Unable to pay the tuition, they are given scholarships from the now-grown orphans from Ballet Shoes. Will they be able to live up to their patrons’ legacies? The children are ready to run away—until they discover their hidden talents. Originally published in 1945. Ballet Shoes – In this story, three orphan girls vow to make a name for themselves and find their own special talents. With hard work, fame just may be in the stars! Originally published in 1937. Skating Shoes – It’s a stroke of great luck when Harriet Johnson’s doctor prescribes skating after an illness that has left her feeling frail and listless. For on her very first day at the rink, Harriet meets orphaned Lalla Moore, who is being brought up by her wealthy aunt Claudia to be a skating champion. Although they have little in common, the girls form a fast friendship. Harriet is energized by talented, funny Lalla, and Lalla in turn blossoms under the affection of openhearted Harriet. The girls skate together more and more. But just as Lalla’s interest in skating starts to fade, Harriet’s natural talent begins to emerge. Suddenly Lalla and Harriet seem headed in two very different directions.